Spring is the ideal season to book a holiday and recharge your batteries away from your usual everyday surroundings. And North America, with its rich natural landscape and a diverse multicultural character, is ideal for just about any kind of springtime adventure. Take a look at our list of the most alluring spring destinations in the United States and Canada. It truly doesn’t get more American than spending your spring holiday in Myrtle Beach. The adventure-packed resort town has long been favored by families from across the country. 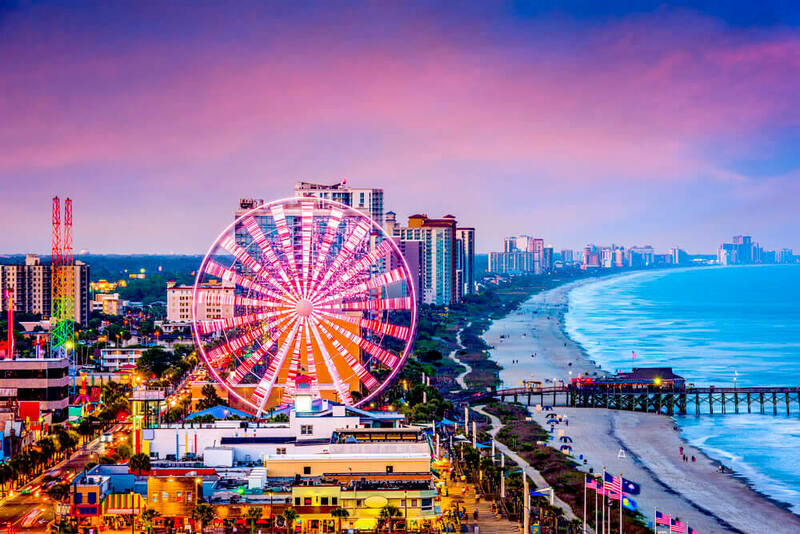 This should come as no surprise: when it comes to nature, Myrtle Beach boasts miles of sandy beach overlooking the blue vastness of the Atlantic Ocean. The seemingly never-ending beachfront is jam-packed with top-notch hotels offering all sorts of exciting amenities. The South Carolinian resort is also heaven for outdoor enthusiasts. Water sport adventurers can indulge in parasailing, kayaking, snorkeling and fishing, while golfers can enjoy a game of golf against the stunning backdrop of the ocean and the surrounding woodlands. If you’re in it for pure hedonism, hit up one of Myrtle Beach’s vast shopping malls, rowdy bars and seafront restaurants serving all of the favorite Southern dishes. Mover over, Seattle – the Pacific Northwest has a new, cool kid on the scene. 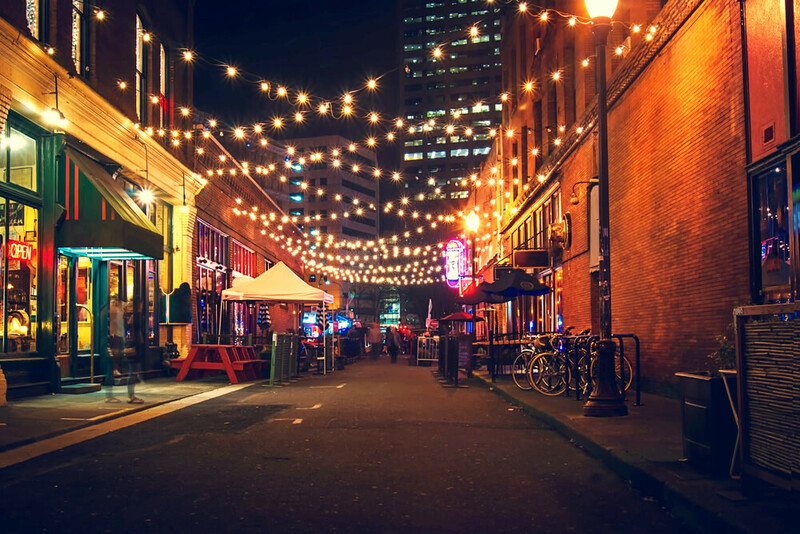 Portland, the largest city in the state of Oregon, is quickly becoming one of the most attractive urban destinations in the United States. For good reason, too: City of Roses combines the best of both worlds – the comfortable feeling of a small town and an exciting cultural offer worthy of a metropolis. At every corner, you will be greeted with a cozy coffee shop or a hip craft brewery. There is also no shortage of art venues – from music to theater to film – so Portland is bound to satisfy cultural cravings of all stripes. Portland’s natural canvas shouldn’t be overlooked, either – the areas surrounding the city are the perfect place to discover the deep-green beauty of the Pacific Northwest. The city boasts gorgeous urban oases, such as the Forest Park and the Tryon Creek State Park, while on the eastern outskirts, you will find Columbia River Gorge, the crown jewel of Portland’s beautiful landscape. More than anything else, the city of Austin is known for its eccentric, diverse character. 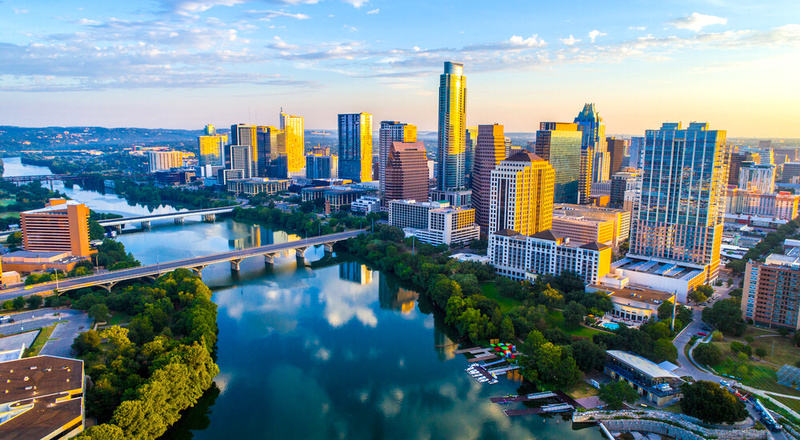 Home to the University of Texas, the Texan capital is a place that forests progressive, artistic thought, which is clearly reflected in the abundance of creative, independently-owned business which are found in every nook and cranny of this bustling city. Since summers in the Lone Star State are known to be brutal, shoulder seasons like spring and fall are the ideal time for exploring Austin. Coming to Austin in spring will also give you the opportunity to visit the city’s iconic South by Southwest festival, which takes place every March. This large-scale multimedia event attracts hundreds of creative and innovative individuals from around the world. As this is one of the most fascinating towns in the United States, it’s never a bad time to visit New Orleans. 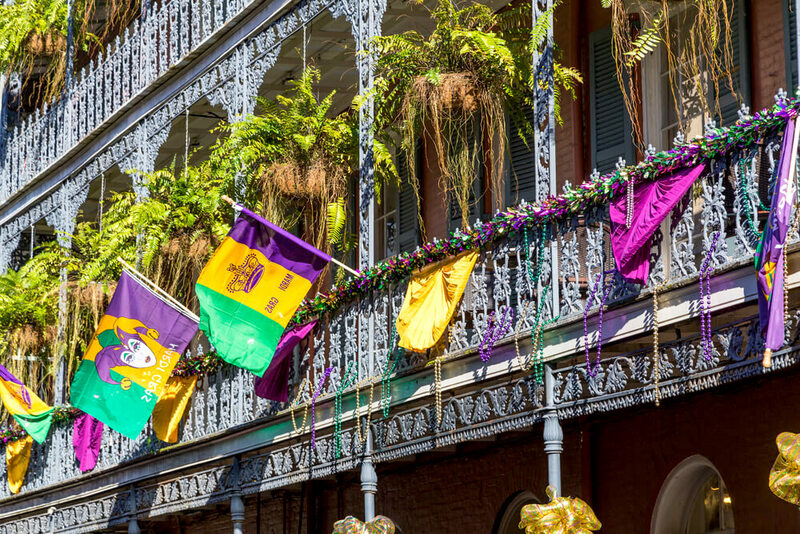 And yes, while the peak tourist season happens during the iconic Mardi Gras festivities, spring is probably the second best season to visit the Big Easy. The weather is pleasant and the sticky summer humidity still hasn’t hit. This gives you the ideal opportunity to explore the city’s lush parks (City Park and Audubon Park), the rustic French Quarter, as well as to dine in NOLA’s numerous courtyard eateries. Of course, holidays in Birthplace of Jazz wouldn’t be complete without attending a live show. Luckily, spring is the perfect time to do so, and you will find plenty of music festival and outdoor performances all around town. Spring is also an ideal season to indulge in an epicurean adventure while in NOLA. This is when the ever-popular crawfish starts being sold in seafood restaurants and shops around town, making it a sin to visit New Orleans without tasting this staple of local cuisine. Once a favorite vacation spot for the old Hollywood celebrities, Palm Springs has transformed into a destination where everyone can have the Californian holiday of their dreams. 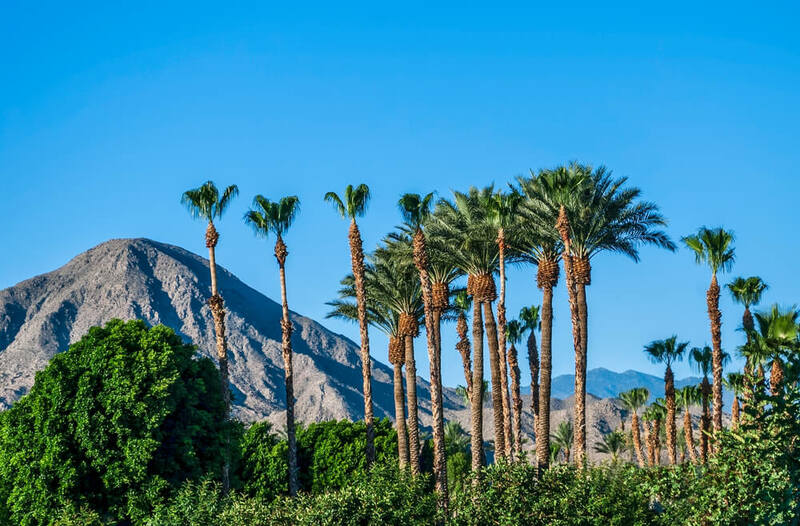 The climate in Palm Springs is pretty arid, which means summers tend to be absolutely sizzling – making spring the ideal time to visit if you want to enjoy more moderate temperatures. Travelers who are interested in little other than sunbathing next to a refreshing pool are more than welcome to do just that, while nature enthusiast can go further east and visit the Joshua Tree Park, one of the most impressive natural sights in the state. Of course, music festivals are Palm Springs’ main draw this time of the year. Thousands of visitors, including various celebrities and fashionistas, flock to the Coachella Valley to show off their bohemian style and party for days on end. Visiting Las Vegas is on bucket lists of many world travelers. 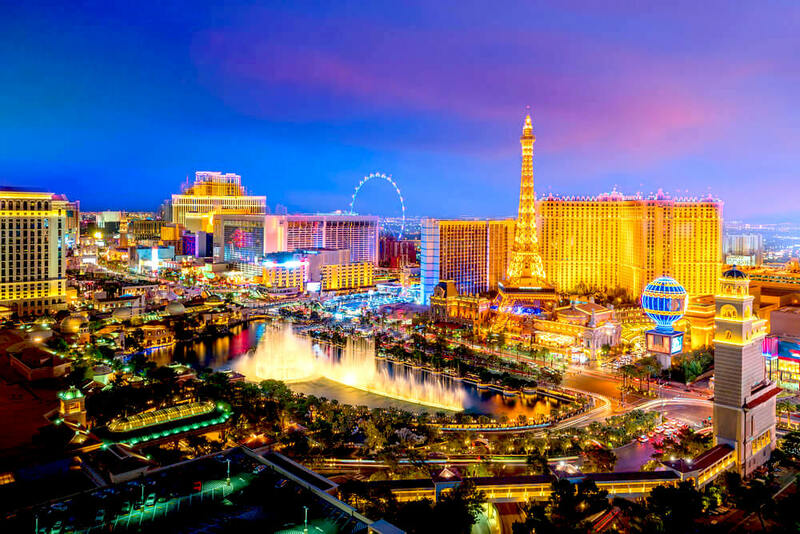 And spring is one of the most favorable times of the year to visit the Sin City, as the weather is sunny, but you can still score a great deal on the accommodation. The #1 sight in Las Vegas is the iconic Strip, where all the action happens once the sun goes down. Here, you will find all the legendary hotels and casinos that evoke different historical eras and parts of the world. Gambling is by far the most popular activity in this party-loving oasis; however, if you don’t feel like rolling the dice, you can also see one of the dazzling live shows or shop ‘till you drop in one of its extravagant malls. The Quebecoise capital is the hub of Francophone Canada, a characteristic that definitely sets this city apart from the rest of its North American siblings. 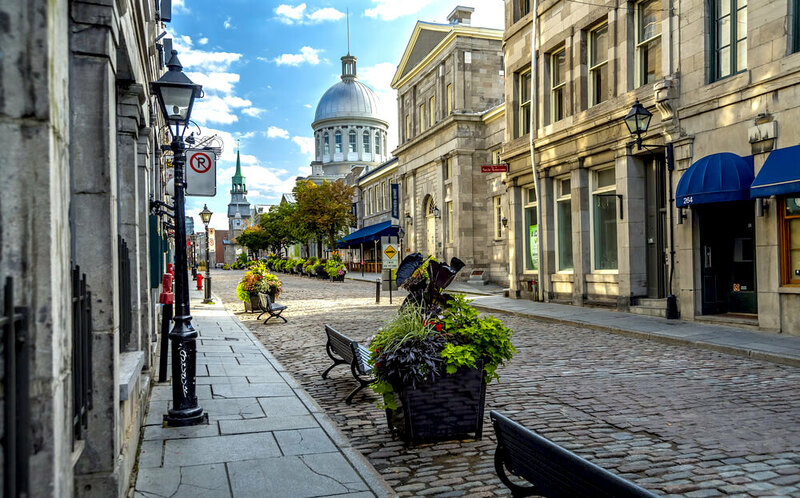 Montreal is known for its rich cultural scene; the city is bursting with galleries, design studios and live venues on every step of its gorgeous, quaint streets. Montreal winters are long and dark, but the Montrealers really know how to make up for the bleak months as soon as the first sun rays hit the ground. The city comes alive with outdoor concerts and open-air markets, while bicycles become the favorite mode of transport. Spring is the ideal time to soak up Montreal’s stunning architecture, which is embodied in an intriguing blend of North American and European sensibilities. The Georgian gem is one of the oldest and most aesthetically pleasing cities in the United States. Its architecture features an intriguing mish-mash of styles, ranging from opulent antebellum mansions to medieval-looking cathedrals. 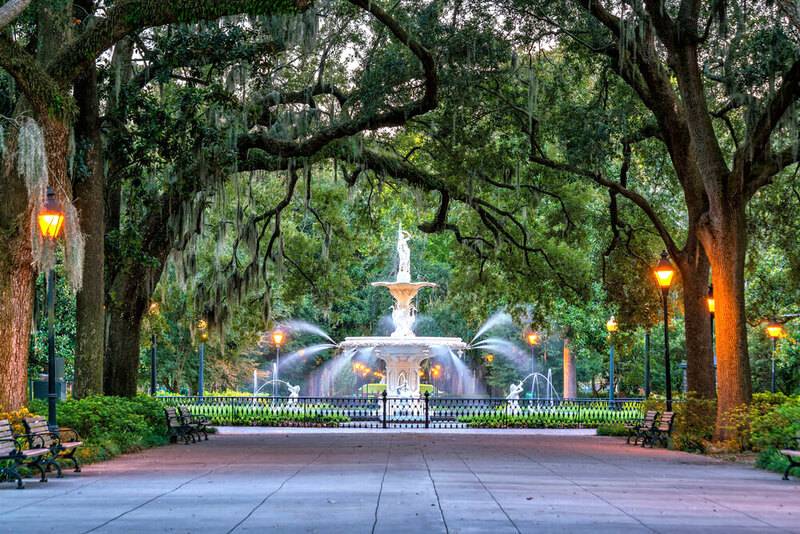 Savannah is also home to twenty-four gorgeous public squares, most of which were constructed during the 18th and 19th century. Its urban greenery is characterized by gargantuan oak trees and luscious Spanish moss. Since Savannah is known as the “Hostess of the South”, you will never have a hard time finding quality restaurants, bars and coffee shops in which you can unwind after a long day of sightseeing. Spring is by far the ideal time to visit Savannah. Its green parks and squares burst with color, while the infamous Georgian humidity and high temperatures never become unbearable. No spring holiday list would be complete without mentioning the United States capital. 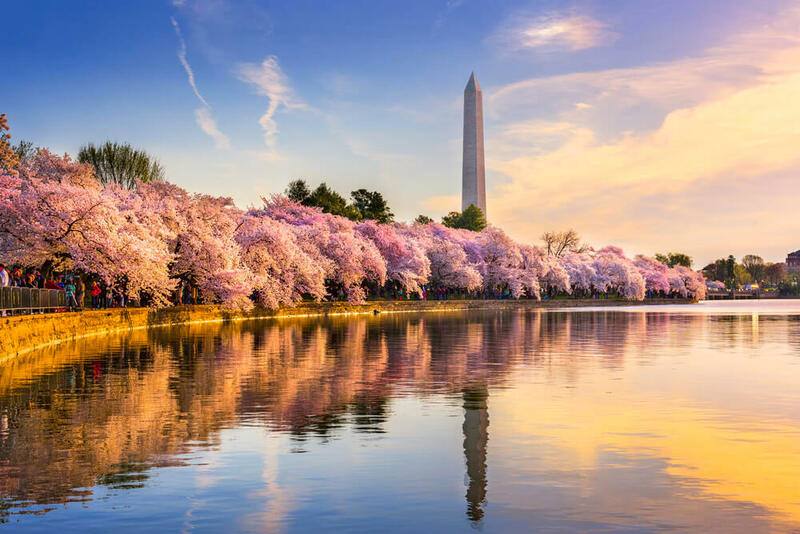 In the spring, Washington bursts with colors due to rows of pink-hued cherry blossom trees that frame its most famous historical spots. Tidal Basin, one of the most scenic areas in the city, is the best place for strolling and relaxing among the beautiful blossoms. During this time of year, the historic sites found in the nation’s capital become even more intriguing to explore. To soak up the intriguing history of the USA, head over to the National Mall, where you will find all the instantly recognizable monuments and institutions, including the Washington Monument, the Lincoln Memorial and Reflecting Pool, the Franklin Delano Roosevelt Memorial and the Jefferson Memorial. 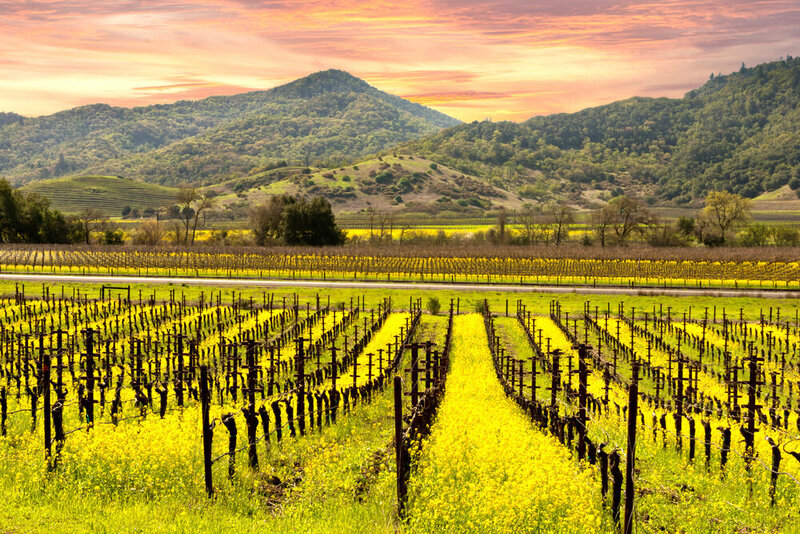 A world of superior natural beauty and gastronomical indulgence awaits all those who book their spring holiday in the Napa Valley. This Californian slice of paradise is best known for being America’s most famous wine region, but Napa is so much more than it palate-pleasing Cabernets, Merlots and Chardonnays. This region is also known for its beautiful scenery, embodied in never-ending stretches of vineyards that blanket its hillsides. The wine country is also one of the prime destinations for fine dining in Northern California, so if you find yourself in Napa Valley, make sure to go on a tour of its exquisite eateries. Nothing says “spring break” quite like holidaying in Florida. 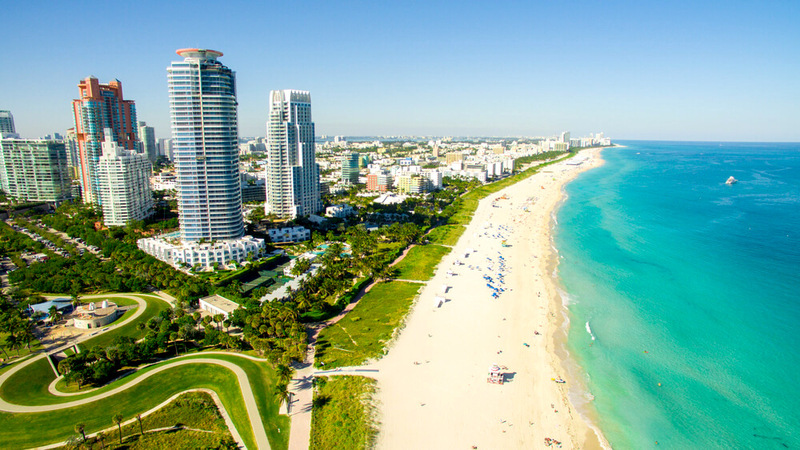 The Sunshine State is home to a host of coveted holiday destinations, but its crown jewel has to be the buzzing oceanfront paradise: Miami. Not only does the Magic City boast miles of pristine, fun-packed beaches, it also oozes glitz and glam on every step of its breezy boulevards. Fashion enthusiasts should head over to down Collins and Washington Avenues, where they will discover everything from high couture shops to small, independently-owned boutiques. If you want to learn more about Miami’s alluring urban canvas, venture into Miami Beach Architectural District, where you can admire all the constructions built in Art Deco, style that defines Miami’s exterior. And if you’re feeling extra luxurious and want to go further afield, hire a yacht that will take you all the way to Key West or even the Bahamas. 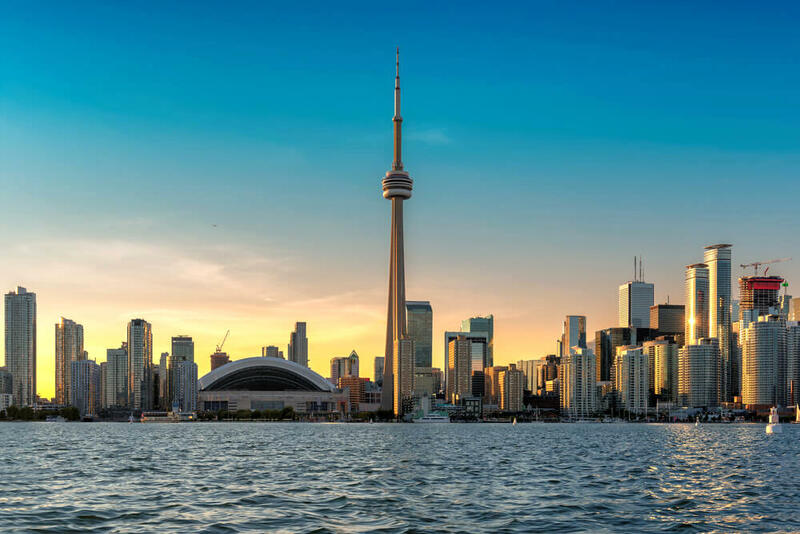 If you are desiring to spend this spring in a fast-paced metropolitan setting, look no further than booking your vacation in Toronto. The buzzing Canadian metropolis is the most culturally diverse place on Earth, so you can rest assured your trip will be filled with different sensations and adventures. Torontonian winters are known for being extra-frigid, but come April, you can already expect temperatures to stay firmly above zero. Sitting on the northern shores of Lake Ontario, Toronto is by far the largest Canadian city. As such, you can expect it to be teeming with all sorts of art, gastro and nightlife gems. Art Gallery of Ontario and Royal Ontario Museum hold some of the most extensive art collections on the North American continent, while the Distillery District is home to numerous small galleries and venues. To soak up Torontonian atmosphere, head over to the Kensington Market, where you will find a plethora of food stalls, cozy eateries, vintage stores and coffee shops. Everyone always romanticizes New England’s autumnal beauty, but spring is when this gorgeous area truly awakens. And what better place to visit than the City on the Hill, the historic hub of American culture and academia? Boston is brimming with arts and history at every step, from the two-and-a-half-mile Freedom Trail to the waterfront-perched Institute of Contemporary Art. 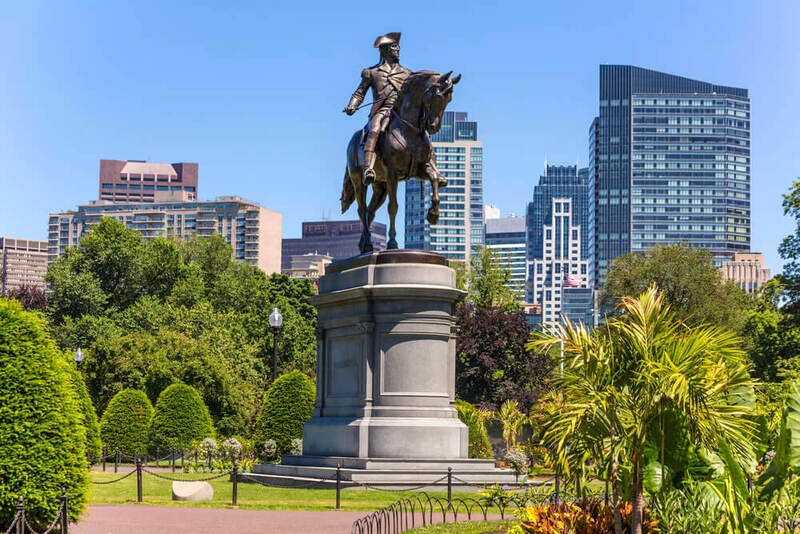 Of course, not everything about Boston has to be uppity and highbrow – if you want to spend a weekend just like the locals do, head over to Fenway Park and watch the Red Sox take to the field. Finally, there is no better place to celebrate St. Patrick’s Day than Massachusetts’ capital. Since the city is known for its rich Irish heritage, this is when Bostonians go all out by organizing parades and street parties that continue until the early morning hours. Are you feeling excited for your vacation yet? After going through this list, we’d be surprised if you weren’t. Time to pack your bags and enjoy the spring at one of these fabulous destination!